Transformers Action Figures rival Star Wars in terms of sheer mind-boggling amount of toys produced and media created to sell these toys. 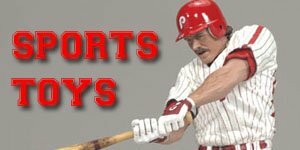 This page focuses on the time period between 1984 and 1991, which has since become referred to as Generation 1. It began as a joint venture between Japanese toy company Takara (Tomy in English) and American giants Hasbro. 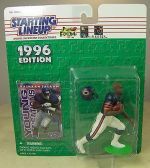 The idea, which had previously brought Hasbro success with their new G.I. 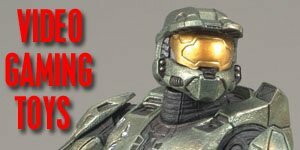 Joe line and which became the standard to which toys were sold from that point on, was to create an animated series and spin-off comic full of bright, colourful characters, locked in eternal warfare. The kids would then go out and buy the toys of their favourite characters and be forever on the lookout for new bots to add to their collection. 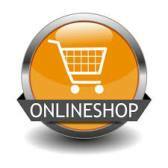 A marketing strategy that remains as successful now as it did back then. 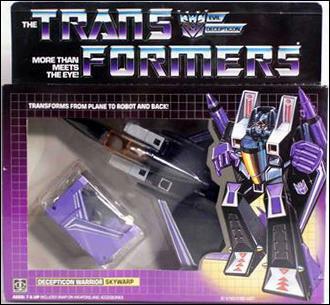 The original line of Transformers Action Figures , later dubbed G1 (Generation 1) figures ran from 1984 to 1990 when it ended due to severe changes in the story-lines of the TV show and the toy lines. 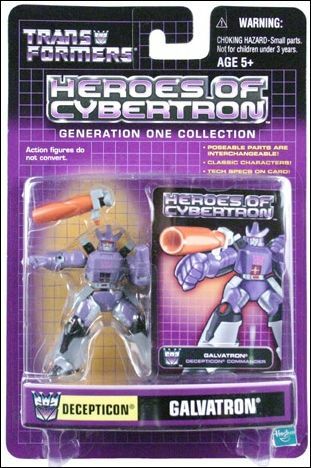 But in 1993 Hasbro decided to re-release the Transformers Action Figures line calling it Generation 2 figures, and thus the original line became known as G1. 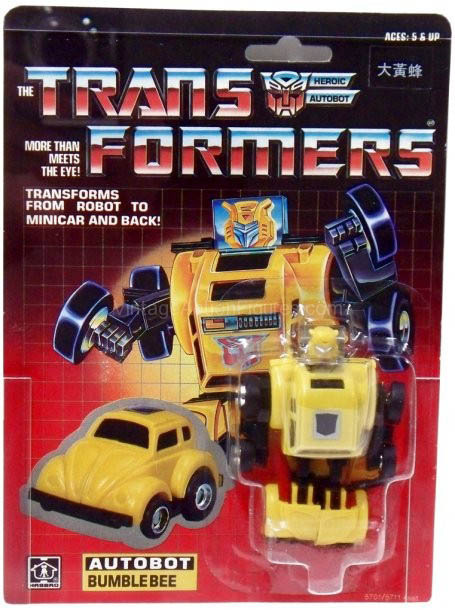 The inaugural series of the Transformers figures was released in 1984 and introduced the heroic Autobots, who made their debut as small, easy-to-convert "minicars." The second wave introduced their arch rivals the Decepticons who had slightly more difficult conversions. Also introduced during their inaugural year were the Decepticon jets, including the wildly popular Starscream, Optimus Prime the leader of the Autobots as the semi-truck, Megatron the leader of the Decepticons and the Decepticon Soundwave, who converted into a cassette recorder. 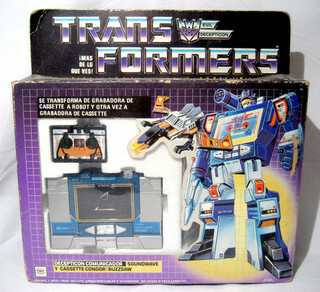 After a hugely successful yearTransformers Action Figures were one of the hottest toys on the market. In 1985 Hasbro re-released all the figures from the previous year as well as introducing several new characters including the Constructicons, a team of six construction vehicles that turned into individual robots and combined to form the huge Devastator robot. This was the first of many "merge group" Transformers (figures that combine to form a larger one). 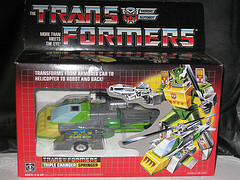 Hasbro also introduced their first mail-order Transformer figures. Collectors and fans had to clip "robot points" from product packaging to send-away for the Omnibots, reinforcement warriors from Cybertron which included the S.T.A.R.S. Command Center play-set; and the Autobot Warrior emblem watch. Other mail-away offers included the Decipticon triple threat, Reflector figure, as well as classic Transformers reissue toys. Another new concept introduced was the triple changer Decepticons that had THREE modes of change. The Insecticons, robots that turned into insects, also made their debut in 1985 as well as the Autobot Jumpstarter figure which featured pull-back motion. Other Transformers Action Figures released during 1985 included the Dinobots, dinosaurs that change into robots; including the popular Grimlock, Sludge and Swoop dinos. Another first was the introduction of Shockwave, the first electronic Transformer with lights and sound. 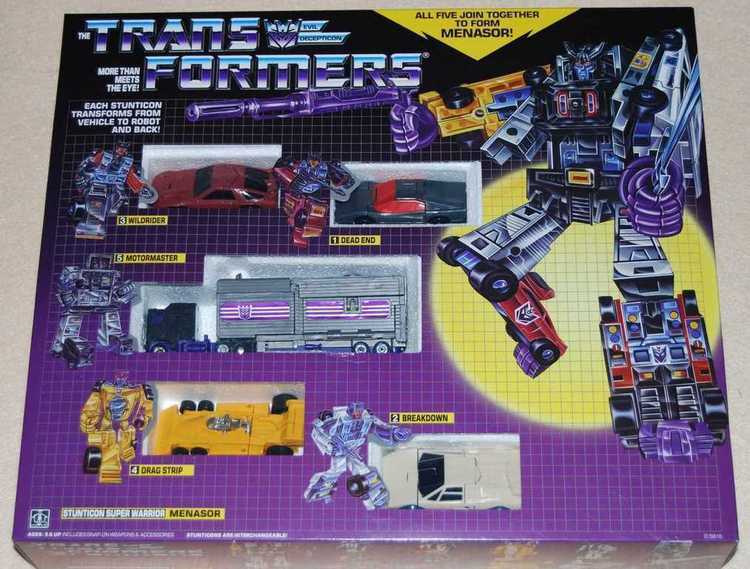 In 1986 the long anticipated and eagerly awaited The Transformers: The Movie was released and prompted the release of more than 50 Transformers Action Figures, including several new figures, e.g. the Rodimus Prime and Ultra Magnus robots. 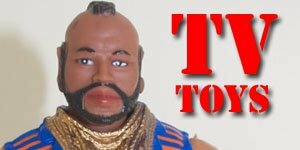 However, it wasn't quite the blockbuster that Hasbro had hoped it would be, but it did mark a change in direction for the series. 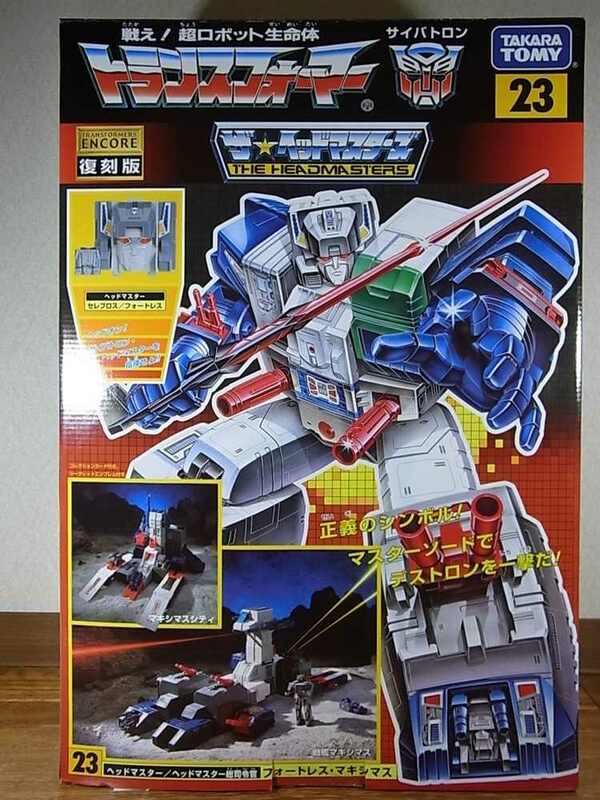 It was also in 1986 that Hasbro started using original designs for many of the Transformers Action Figures characters as they had used the last of the Microman and Diaclone molds from their Japanese counterparts. Several more merge groups were also released including sets in which one figure became the body of a larger robot and other figures becoming the arms and legs. 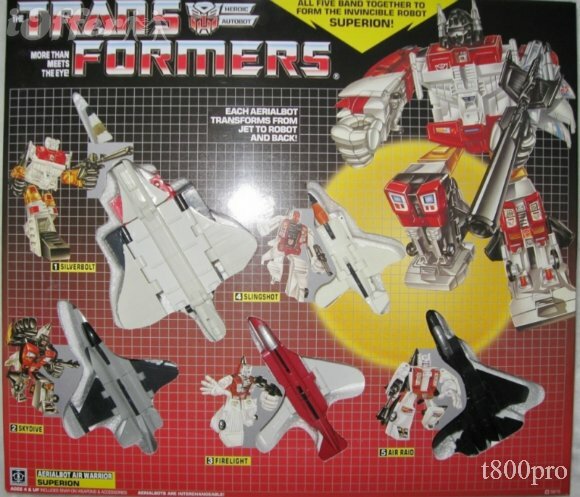 The very first Autobot merge group of figures was released featuring Aerialbots, figures that combined to form Superion, a larger robot. Other “merge groups” released included the Stunticons, Combaticons, Predacons and Protectobots. New electronic figures released included Trypticon, the battle station; Sky Lynx, the space shuttle; and the robot Galvatron who, in the movie, took over command of the Decepticon army. 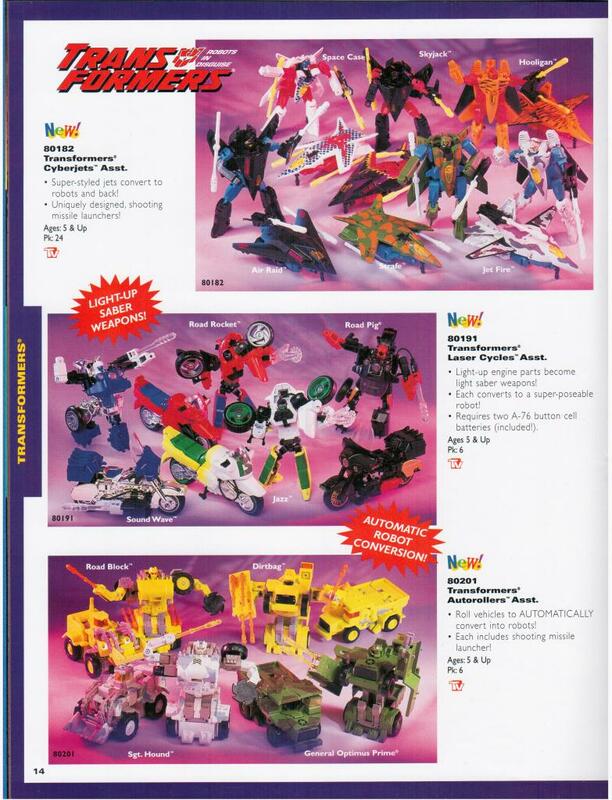 1987 saw the introduction of two new lines, the Targetmasters and Headmasters. The Targetmasters were humanoid robots who transformed into the robots weapons and the Headmasters were vehicle pilots who became the head of the robot. By joining the head and body together you got a display panel on the robot's chest with its vital stats - speed, strength and intelligence. The biggest Transformers Action Figures ever made was a Headmaster, Fortress Maximus, who was an awesome two-foot-tall battle station figure that could turn into an entire city! Also released this year were the Monsterbots, monsters which emitted sparks when you pushed a button; and Sixshot, who was the first Transformers Action Figures with six modes of change! This year saw a new twist on the Targetmasters / Headmasters theme with the arrival of the Powermasters, these were robots whose humanoid cohorts became their engine in vehicle mode. Then there were the Pretenders, figures with organic outer "shells" that hid their robot inside. Their shells could be human (Autobots) or monsters (Decepticons) and later with the arrival of Pretender Beasts, all the robots are contained within the shell of large animals. 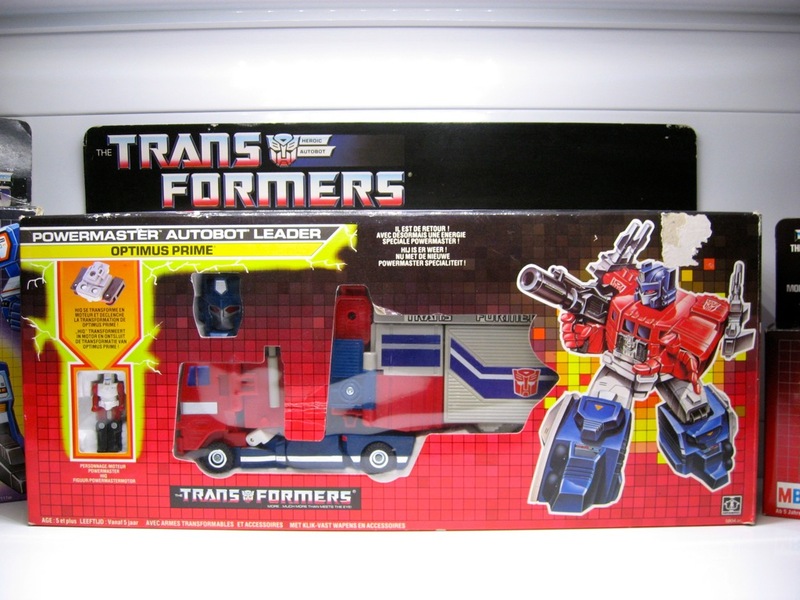 In 1989 Hasbro took the Transformers Action Figures back to their roots with the Micromasters. The Micromasters were miniature Transformers and featured Micromaster Patrols, Micromasters Transports and Micromaster Stations, which were play-sets specifically designed for the Micromasters line, each of these play-sets could be interlinked to create an awesome Micromasters city. 1989 also saw the triumphant return of Grimlock, Jazz, Bumblebee and Starscream figures in the Pretenders Classic series, but overall their were much fewer figures released than previous years. A whole new line of Transformers figures called Action Masters was released in 1990. These were 3 1/2 inch articulated figures based on Transformers characters both old and new, including Optimus Prime who has brought back as an experimental form of energy called Nucleon. Nucleon had the ability to super-fuel his troops with incredible powers but the Decepticons stole this resource and their battle raged anew. However this new energy source makes the Transformers unable to change and instead this power is given to their weapons and assistant drones. 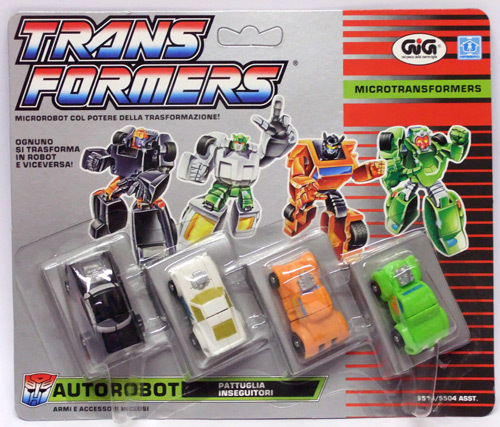 More of the highly collectible and popular Micromaster figures are also released during 1990, including the first Micromasters Combiners, an interconnecting series of micro-vehicles. But all good things must come to an end, and so it was with the first generation of Transformers figures making 1990 their last year of production. After a two year absence the Transformers Action Figures blasted back on to toy shop shelves with Hasbro’s re-launched Transformers Generation II figures. 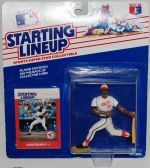 Hasbro’s original concept for this line was to re-introduce the original toys using the same molds with slight alterations such as a change in color and different weapons, but there were plenty of new characters as well. 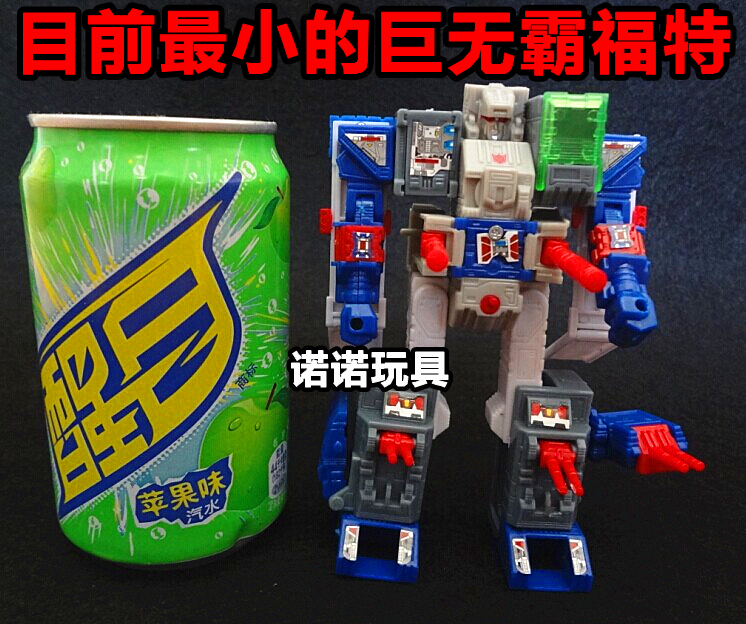 These new re-imagined Transformers figures also introduced some new special features, e.g. 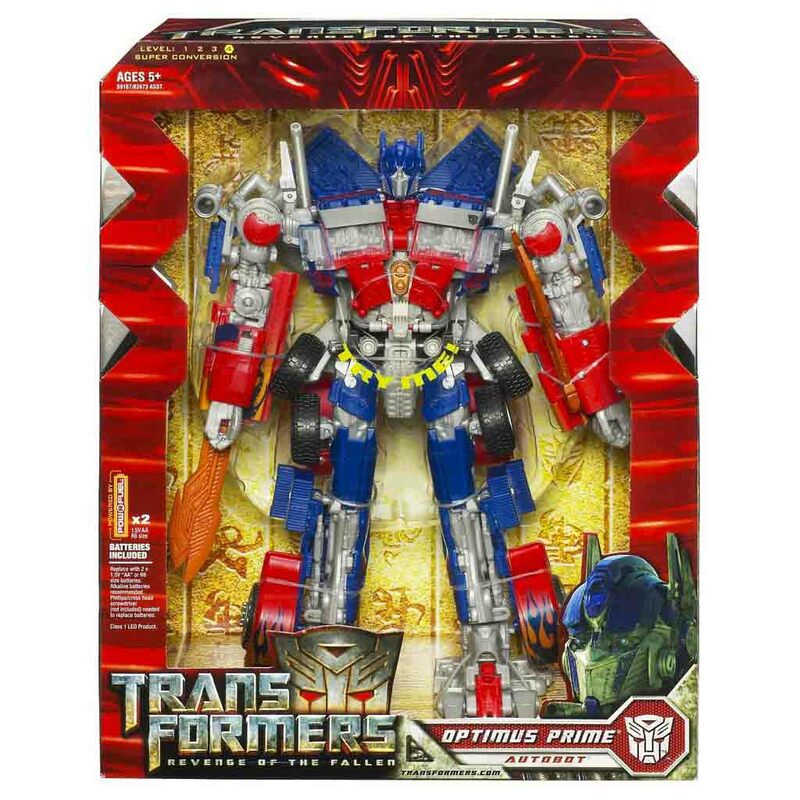 the new Optimus Prime came with electronic sounds and phrases, the small Autobot Cars and Decepticon Jets had engines that served as weapons in robot mode and color-changing cars that did just that, they changed colour when dipped in water! 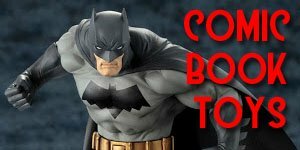 The Transformers Action Figures weren’t the only ones to make a return either as both a new TV show hit the airwaves and a "prequel crossover" comic book was released, which spanned Issues 138 to 142, of the G.I. Joe comic. After this the Transformers G2 made the jump to its own comic with a new 12-issue comic book series , hoping to emulate the success of the original G1 Transformers. One of the year’s highlights for collectors and fans was the release of a Laser Optimus Pime figure, a large figure with light-up weapons and air-powered rocket launchers. The Transformers: Generation 2 storyline was the first gut-level, serious storyline where characters were killed quickly, unapologetically and often.